The left can be defined broadly as incorporating values of democracy, dignity, physical, social and economic security and, more recently, peace and anti-war mobilization, gender and racial equality. The left has come to realize that the environment with its related issues of climate change, resource extraction, water depletion, air pollution and conservation are part of the present left agenda. Hak has organized his work chronologically starting in the 1880s and the rise of working class consciousness and mobilization, including building unions. Coal miners were organizing on Vancouver Island and there was a general anti-Chinese sentiment in ‘white-only’ movements. Here as throughout the book, Hak puts the left in the matrix of the times; he documents the reactionary powers against workers and does not shirk from documenting the struggles within the left. The next chapters on the rise of left militancy, particularly after WW1, credited to the Marxist critique of capitalism and the liberal left – miners continued to be in the forefront of workers’ struggles. The leadership of Ginger Goodwin and his murder by police are still remembered at the annual Miners’ Memorial every June in Cumberland. After the war, the Winnipeg General Strike had repercussions across Canada and sympathetic action by BC supporters. There were many setbacks, capitalism flourished but the left had established a political presence. In the interwar years the political party left was divided by rivals, the Communist Party and the CCF, the Cooperative Commonwealth Federation of social democrats. The depression saw many desperate and unemployed Canadians subjected to draconian actions by rightwing governments and businesses; but unions continued, often with racist agendas; 1st nations were completely marginalized. Patriarchy in all classes was challenged by the rise of women demanding equal rights. The author writes that WW2 was good for workers. “With mills and factories operating at full capacity, labour was in demand.” Unions grew in numbers and strength. Communists were optimistic and active, but the end of the war which rapidly developed into the “Cold War” saw communists blacklisted and condemned for supporting the USSR. 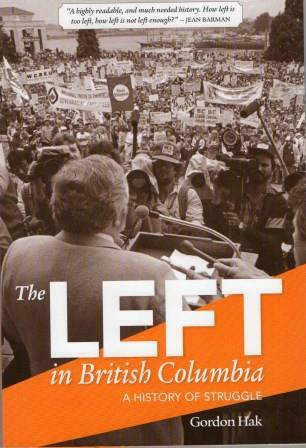 “The BC LEFT was energetic in the 1950s, 1960s and 1970s.” The CCF became the NDP and was successful in electoral politics while having its own internal conflicts. Unions flourished and new social movements with agendas of social justice emerged; students, women, peace activists, 1st Nations and environmentalists became part of public activism, often, and still, resulting in uncomfortable bedfellows. The end of the USSR and the ‘Cold War’ saw capitalism emerge as the only major global force and after 1991 the results of global change were obvious in BC as in the entire in world. Social movements responded and environmental issues gained greater support. At the same time the NDP was torn between supporting these issues and the call to protect jobs first. The Green Party gained significant popularity. A series of single events marked BC’s foray into globalization – new groups demonstrated against OPEC, the Olympics and many Canadian activists were charged by participation in the WTO opposition in Seattle. 1st Nations held onto to their demands and the IDLE NO MORE movement was a powerful manifestation of grassroots aboriginal dissatisfaction and was supported by many left groups in non-aboriginal society. The author has not written about one of the results of globalization, the awareness of what Canadian policies and Canadian companies contribute to the growing injustice and repression in many places in the world. 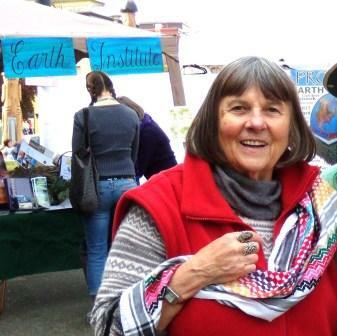 Solidarity groups in BC, as elsewhere in Canada, work with grassroots activists in many countries – from the Philippines to Palestine, from Guatemala to Western Sahara. Progressive people see the connections between military oppression, social and environmental destruction and Canadian government policies which support capital, in particular mining companies and military manufacturers, around the world. Solidarity groups and some unions bring home the links to pension plans and investment policies of churches and other institutions – publicizing Canadian government policies that no political party has much interest in opposing. In his concluding chapter Hak has acknowledged that although BC’s leftists have made much progress in the last 120 years, they still have not articulated a clear vision of a society beyond capitalism. Nor has the left created an inclusive home for the working poor and ‘lower middle class’ who are sometimes attracted by rightwing populism. Today we see Canadian workers once again pitted against Asian workers – now entering Canada under an employer-driven federal policy to work for low wages and with no rights.